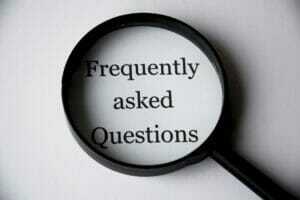 This is where you will find some common questions I often hear…. and of course the answers that hopefully put you at ease! What’s the difference between a Clinical Psychologist and a psychotherapist or counsellor? Do you have a choice of male and female Clinical Psychologists? Psychology is the scientific study of behaviour. This involves both overt behaviour (the things you actually do) and covert behaviour (the things you think and feel). Clinical Psychologists generally employ a model which tries to take into account and understand all aspects of a person’s life (i.e. the biological, social, contextual and psychological aspects) in order to help them achieve desired change. Psychological therapies are used widely in many different types of settings. Clinical Psychologists are trained to work with people individually, in couples, in group settings, with children and families and with organisations. Clinical Psychologists endeavor to assist people develop the skills to cope better and overcome difficulties they are experiencing in their life. They can also assist people to develop their potential further in areas of their life, such as career and relationships. Psychologists are not medical doctors and cannot prescribe medication. Psychologists have usually trained for 6-8 years and can have a masters or doctorate (a PhD) in psychology with an arts or science background. They have special training in conducting assessments using psychometric instruments, and in providing treatments. Psychologists are people who have completed an undergraduate degree in psychology. Clinical Psychologists further undergo extensive and specialist training in assessment, diagnosis and treatment of psychological problems and mental illness. Clinical Psychologists complete all the same basic training as Psychologists PLUS complete at least an additional 2 years of full-time university training at Master’s degree level or above in Clinical Psychology. This extensive and significant clinical training in more severe psychological problems and comprehensive exposure to several clinical settings, provides for a highly trained specialist. Most receive significant training in Cognitive Behaviour Therapy (CBT), shown by research to be highly effective in treating a range of psychological conditions. Clinical Psychologists typically assist people with problems such as: depression, panic attacks, obsessive compulsive disorder (OCD), eating disorders, social anxiety and phobias, stress and anger management, trauma reactions and PTSD, living with chronic pain, marriage & relationship therapy etc. They are also involved in designing and implementing a wide range of prevention and mental health promotion programs. In Western Australia at present anyone can legally call themselves a counsellor or psychotherapist. People who use these terms do not have to be registered with any regulative body or possess any minimum level of qualification. Both Psychiatrists and Clinical Psychologists must possess the required university qualifications and be registered with the Health Professionals Registration Board in their relevant state to be able to call themselves a Psychiatrist or Clinical Psychologist and to be legally able to practice. There is a public register in each state which enables anyone to check that somebody calling themselves a Clinical Psychologist or Psychiatrist is registered with the relevant authority. In Western Australia you can access this register at http://www.ahpra.gov.au/ and then by following the instructions at ‘check registration’. Clinical Psychologists have done extensive formal training (6-8 years) in psychology and have been trained to use scientific measures in their work. This means that they are often focused on outcomes and using the most effective techniques for change available. Psychotherapists and counselors have generally trained from 1-3 years and have a variety of backgrounds. It is very difficult to state the exact number of sessions that someone may require. At Signature Psychology I am committed to providing the type of intervention which best suits the needs of the individual. Some people come for one session to talk through something on their mind, while others continue to see a Clinical Psychologist for a number of years. And of course most people fit somewhere in between. Since November 2006 the federal government made provision for the public to access rebates for private psychological consultations. In order to use the Medicare rebate system you need to be referred by a GP. This is essential as the GP (not the clinical psychologist) has the responsibility for linking you up with the Medicare system. Your GP will complete a Mental Health Care Plan which will be either sent to the identified Clinical Psychologist or you will be given the plan to bring with you on your first visit. For further information please visit the Medicare website: www.medicareaustralia.gov.au. Currently we work during normal office hours and also offer after hours appointments (9am-6:30 pm) Monday to Friday. No. At this stage, Dr Patrick Kingsep (male) is only available. Consultations with an individual Clinical Psychologist usually last for one hour (we sometimes have a two hour session if we both agree that this would be useful). Work with a Clinical Psychologist usually involves a period of assessment followed by a period of treatment. The length of time taken to complete the ‘therapy process’ is different depending upon the type of problem. This will be discussed with you. In the initial assessment phase, I gain a thorough understanding of the problem from your point of view. This may involve filling out questionnaires or monitoring forms. The treatment phase involves helping you to do things differently in order to help you feel better. All aspects of the process are collaborative, meaning that you participate and make active decisions about what goals you would like to achieve AND how you would like to participate. Research shows that therapy works best when you attend regularly and give some thought to what you want to discuss during each session. The type of therapy offered by Signature Psychology asks you to practice skills and strategies between sessions. People who do this generally get more out of therapy. Clinical Psychologists are bound by the Clinical Psychologists code of ethics. This can be found here. With regard to confidentiality at Signature Psychology, all therapy discussions are confidential with the important exception that if you are at risk of harm from yourself or to someone else we may need to break confidentiality. The third limitation on confidentiality is in relation to court orders. Should any of these situations be relevant to you, your Clinical Psychologist will discuss them with you. Of course, I write a brief psychology report to the GP that referred you and this is kept confidential. Yes. I work with adolescents and families. At this stage, I do not provide treatment for children (under the age of 11). That said, we are more than happy to suggest good practitioners in this area. Most of us do not think that we have to experience a heart attack before we can see a doctor; it is OK to go if we merely have a sprained ankle. The same applies to therapy – you don’t have to have the emotional equivalent of a heart attack to see a Clinical Psychologist. By working with a Clinical Psychologist you can often get back on track much faster and save yourself a lot of unnecessary distress.